With more options than ever before, it's a perfect time to be a fan of the digital card and board games. Whether you're looking for a game you can play on your PC or your smartphone, there's sure to be something for you. In fact, you might get overwhelmed with so many to choose from! 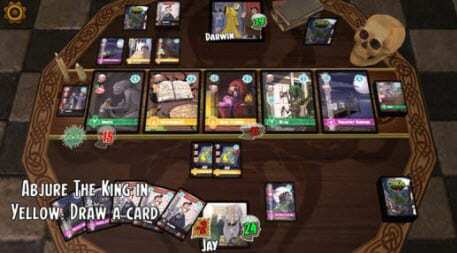 In this article, we've put together a list of the best card and board games for PC and mobile, so read on to see what games you should check out next. 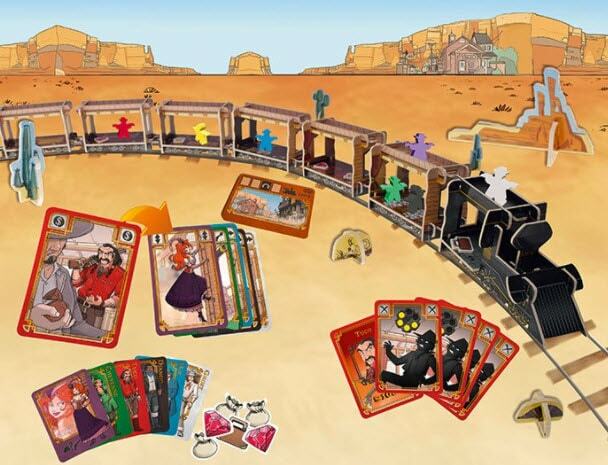 Set in the wild west, Colt Express is a game of “schemin’ and stealin'" in which up to six players are bandits out to grab as much loot as possible from a train. Each player gets to strategize their moves to get their hands on some loot and avoid getting shot by the other bandits, with the ultimate goal of becoming the richest bandit. The game provides options to play in Solo mode or online Multiplayer mode. If fantasy is more your thing, check out The Witcher Adventure Game, which is based on a book series about “witchers”—people who develop supernatural abilities to battle deadly monsters. Two to four players take on the roles of four characters from the series: Geralt the monster slayer, Triss the sorceress, Yarpen the warrior, and Dandelion the bard. Each character has unique skills they can use to overcome the obstacles they face as they go on the quests the game has to offer, like slaying monsters and earning gold. Is it a trading card game or an online role-playing game? Hex: Shards of Fate is a massively multiplayer online trading card game (MMOTCG) that combines the best of both worlds. Players select their champion and create decks from over a thousand unique cards and then duel it out, summoning creatures and casting spells in combat with their opponent. 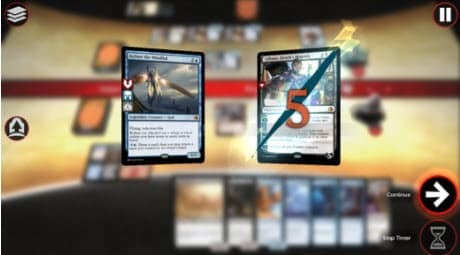 Gameplay is similar to that of classics like Magic: The Gathering, but the addition of several twists—such as having cards that break the basic rules and a priority system that allows players to react to each action an opponent takes with their cards and effects—that provide a new layer of complexity and challenge. Another game that smartly combines different elements is Faeria, a collectible card game played on a dynamic board for a unique gaming experience. Players are gods battling each other in the middle of the sea using their respective cards, with the aim of reducing the opponent down to zero health before their health is exhausted. But to battle against each other, players must also lay down "tiles" to create land on the empty board. Whether you're playing solo or with other players, be prepared to fire up your brain cells as this game is all about strategy, strategy, strategy. Yes, we’ve already raved about the Witcher Adventure Game, but what can we say—the Witcher universe just lends itself to great game adaptations. 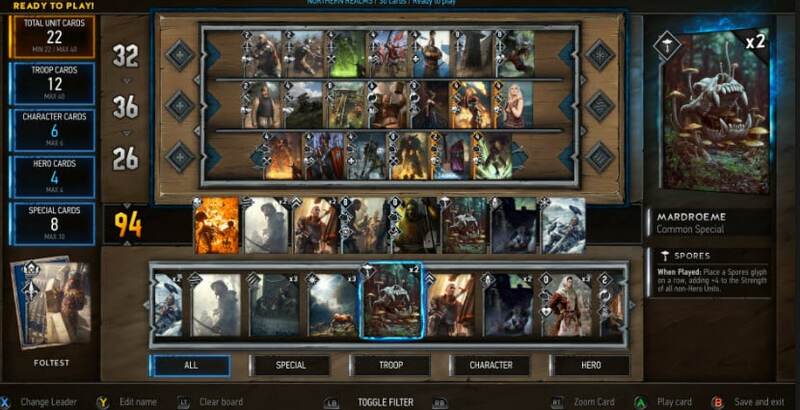 Unlike the first one, Gwent is a turn-based collectible card game between two players. Each player chooses one of several factions to command, with each faction offering different play styles and abilities—ranging from the fearsome beasts of the Monsters faction to the mystical priestesses and medics of the Skellige to the agile guerillas of the Scoia’tael. Players compete by playing cards and spells to gain strength, with the option to play against friends or, if you’re feeling competitive, enter ranked battles. 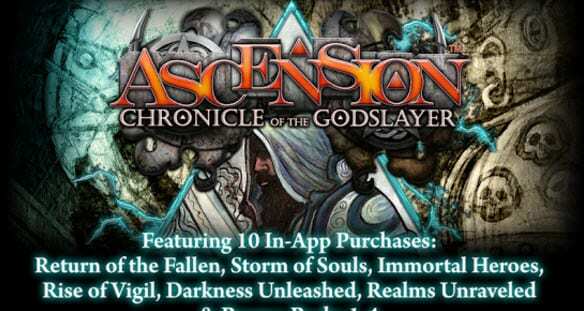 Another great fantasy-based game, Ascension: Chronicle of the Godslayer, is a fast-paced deck-building game. It takes place in Vigil, a world that has long been protected by the Great Seal which is now starting to fail, allowing monsters to break through. Players take on the role of a hero of Vigil, using the cards in their initial deck to acquire more and better cards with the ultimate aim of earning the most Honor Points by gaining cards and defeating monsters. Described by developers as a “solitaire style Dungeon Crawler”, Card Crawl is the kind of game that is addictive in its simplicity. Players must get through the deck of 54 cards (consisting of 5 different suits: Weapons, Shields, Potions, Gold, and Monsters) with no cards left at the end. In each turn, the player draws four cards and must decide which to use, which to keep, and which to discard in exchange for coins. One game takes less than five minutes, but don't be surprised when you keep coming back for "Just one more game." Both newbies and long-time players of Magic: The Gathering can find something to love about Magic Duels. For the most part, the gameplay follows that of the original card game: Each player has a deck of cards consisting of lands and spells, and players take turns playing land cards, casting spells, and attacking opponents until all but one player's life total is reduced to zero. Also, the game includes a story mode that follows the origin story of five of the game's Planeswalkers. Veteran Magic players will also be excited to know that it also features free-form deck construction and the ability to build a card library. If you’re looking for a bit of humor in your mobile games, Cthulhu Realms is a good pick. It’s a fast-paced deck-building game about mysterious cults, artifacts that shatter one’s sanity, eldritch locations, and some truly funny art. In this game, the objective is to drive your opponents insane—or at least, stay saner than your opponents until the deck runs out! 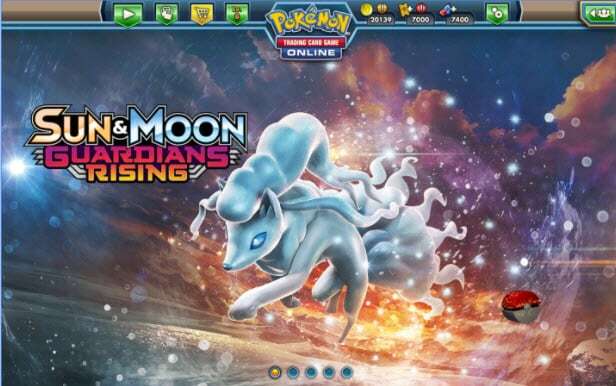 The free version of the app allows players to play solo; by purchasing the full version, you can also opt for the multiplayer mode in which you can compete with other players online. 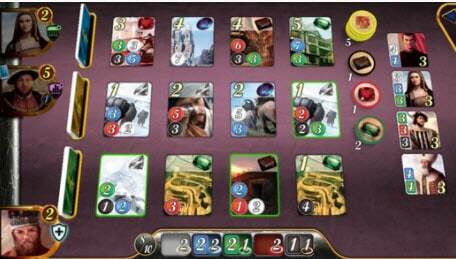 In this digital adaptation of the board game Splendor, players assume the role of a wealthy jewel merchant who must use their resources to become the most fruitful and wealthy jewel merchant in the world. On their turn, players can collect gem tokens or use previously collected tokens to buy gem cards. Gem cards give a player a discount on buying future gem cards of the appropriate color, and some may also contain the victory points that are needed to win. Players compete against the AI or against other players to be the first to collect 15 victory points. Based on the role-playing video game series The Elder Scrolls, this free-to-play collectible card game revolves around a forgotten hero named Tyr as who is on a campaign to save the empire from the evil elf Naarifin and the Aldmeri Dominion. Players build their deck of (at least) 50 cards using no more than two of the game's six colors, with each color representing a broad theme such as Agility or Intelligence. 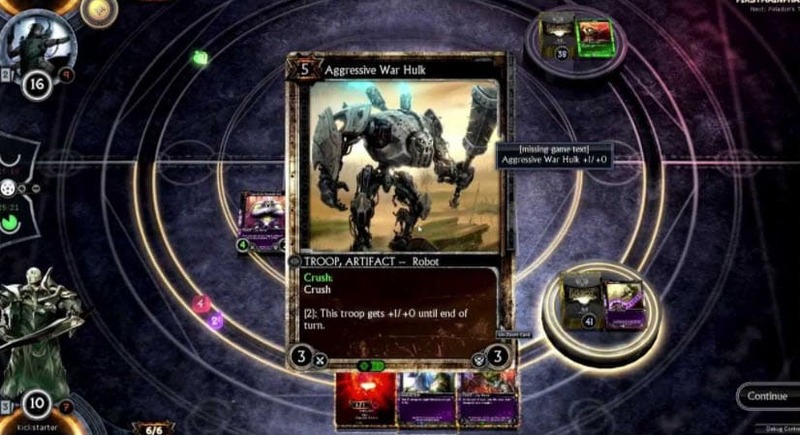 Players take turns to play their decks in matches against the AI or each other and complete other tasks. Featuring a solo mode and a variety of multiplayer modes, this game provides players with plenty of options to explore and immerse themselves in. 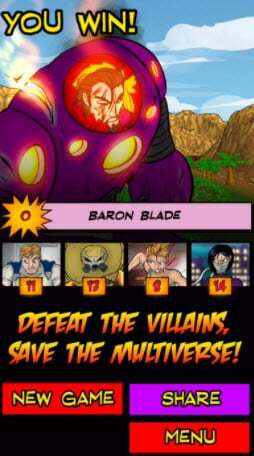 Comic book fans are sure to be drawn to Sentinels of the Multiverse, a cooperative, fixed-deck card game in which players join forces as heroes to defeat a variety of villains in a dynamic environment. The game can be played solo, with the player controlling the entire team of heroes, or in multiplayer mode, with the player joining other players online to form a team. With unique playstyles and backstories for each hero and special abilities for each card, the game is sure to offer endless excitement and fun. 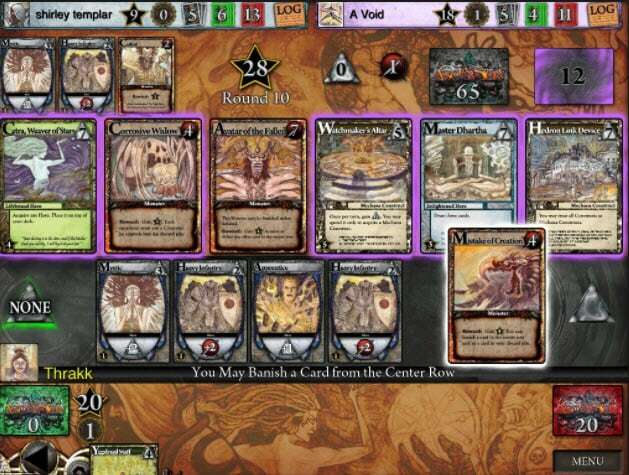 Just like Ascension: Chronicle of the Godslayer for PC, Ascension is a fantasy-themed deck-building game in which players draw from a common pool of cards to build the most valuable point total before the end of the game. Players must defeat monsters while acquiring heroes and constructs, requiring strategic thinking to win. Aside from single-player mode, the game also supports asynchronous multiplayer mode for up to four players. Fans of Adventure Time, rejoice! 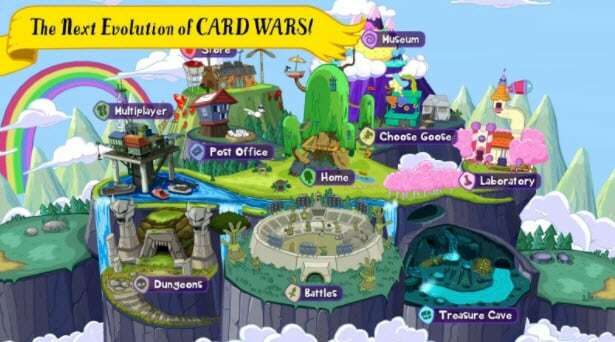 This sequel to Card Wars, a game based on the animated series, is a free-to-play combat card game that combines the show’s eccentric humor with exciting battles and challenges. Players choose to play as Finn, Jake, Princess Bubblegum, or other Adventure Time characters and collect creatures which they can deploy in combat with opponents. The game’s multiplayer mode offers options aside from the usual competition with other players—it allows players to form alliances, sharing and borrowing creatures to boost their combat performance. This is a game that combines elements of collectible card games, tower defense, and multiplayer online battle arena—sounds complicated, but somehow it works! 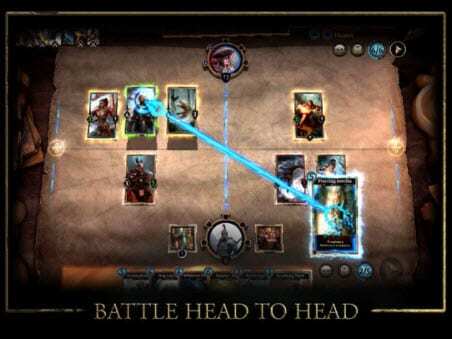 Players construct a deck of eight cards used to attack and defend from their opponent's units, spells, and towers. 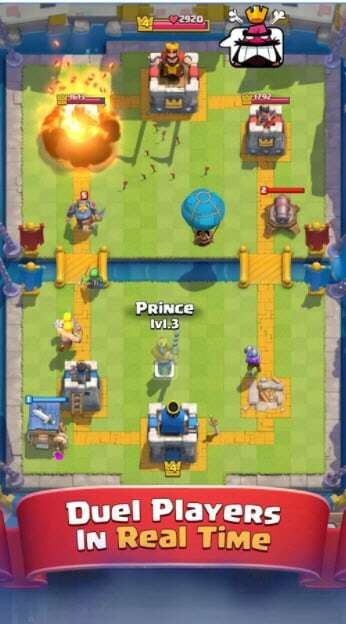 A player wins a battle by destroying more towers than their opponent, or by destroying the opponent's King's Tower. As you win more battles, you accumulate more trophies—but you can also lose trophies in defeat. The game adds a social element by allowing players to join clans of up to fifty players, who can band together and donate cards to each other. 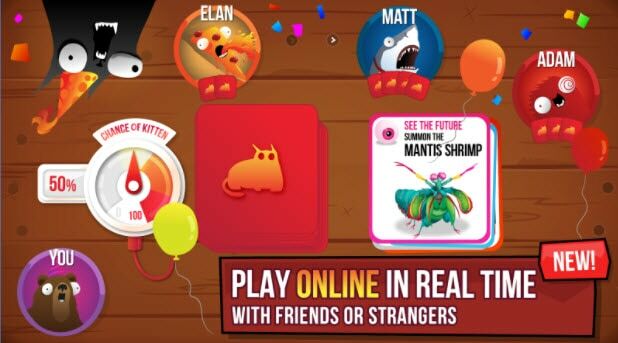 This multiplayer game is very similar to the Exploding Kittens card game from which it originated: Players draw cards from a deck that includes cards like Skip, Shuffle, and most notably, Exploding Kitten. If a player draws an Exploding Kitten card, they explode and die. Unless that is, they have a Defuse card which can defuse the Kitten. The mobile version adds several mobile-exclusive card types including Kitten Role Call, which relocates all of the Exploding Kitten cards to the top of the deck, and Alter the Future, which allows the player who draws it to look at the top three cards of the deck and change the order of cards if they choose to avoid exploding. The game's visuals and music heighten its sense of silliness and fun, adding to the overall entertainment factor. 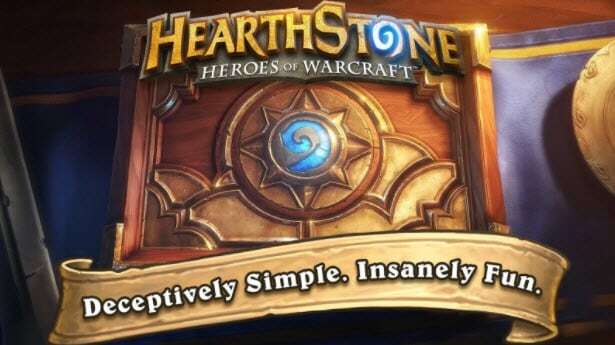 Hearthstone Heroes of Warcraft is a fast-paced, free-to-play collectible card game that is simple enough to appeal to card game beginners while still being challenging enough to hook long-time card game players. 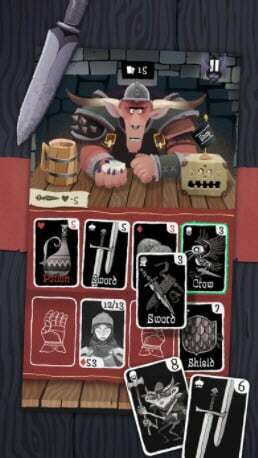 In this game, players select a hero with a unique power and build a deck of thirty cards, then take turns to cast spells or summon minions to attack their opponent. 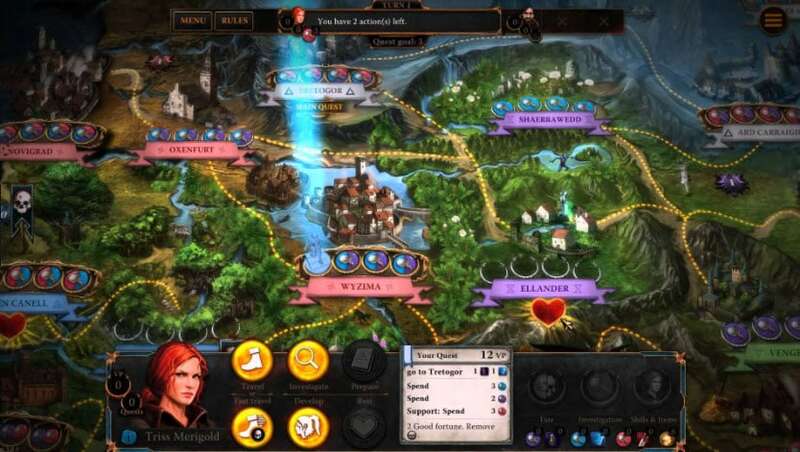 The game features several modes of gameplay, including variations on solo player and multiplayer modes; on top of that, it offers quests that players can try to complete for rewards. This digital version of the Pokémon Trading Card Game may have been released more than a decade after the original, but the objective remains the same—catch ‘em all! 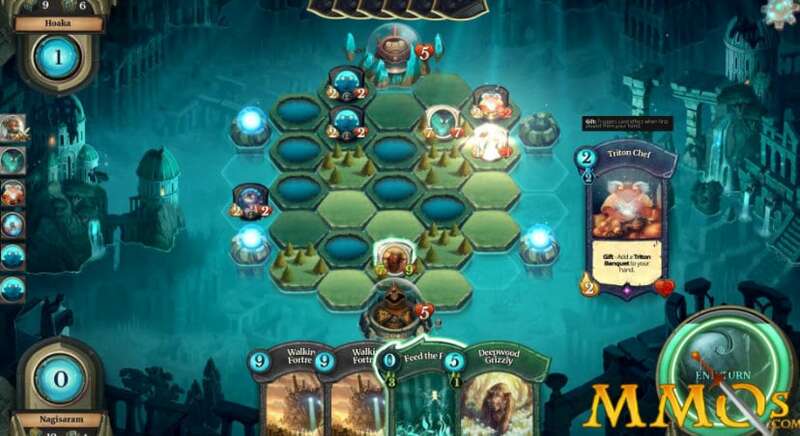 In this free-to-play collectible card game, players start by choosing from pre-constructed Grass, Fire, or Water decks which they can expand and customize as they go along. Players can play in solo mode against the AI—this also serves as good training ground for beginners who want to familiarize themselves with the game, practice strategy, and unlock more cards. If you’re feeling confident and ready to compete, you can opt for multiplayer mode, challenging other players or joining tournaments.